can you work with any budget? Yes, we can definitely work with any budget as long as it is sensible and realistic. We will review your budget and wedding details with you prior to booking and will guide you in the direction that is compatible with your budget. how many staff will i have on my wedding day? Best Bride works as a team. Every wedding is given a Lead Coordinator along with appropriate number of Assistant Coordinators needed based on the guest count, venue and other details. We always make sure to have enough staff to handle the event in the best possible way. how many hours will you be available for on the day of my wedding? Best Bride will be available for your wedding the entire day, from set up to tear down. We don't believe in working within a time constraint. do you charge any overtime fees or for tasks prior to the wedding? We don’t believe in working within a time constraint for any of our packages. All our packages include 24/7 E-mail & Phone support in the scope of work. Our Gold & Diamond package also include unlimited in face meetings as needed. do you schedule appointments after hours? We always accommodate the best we can to our clients schedule. We are definitely available to meet after hours or at a time most convenient for you. do you work only in los angeles? We are based in Beverly Hills, CA, but we are available to travel within the United States. why do i need best bride? Why? When first beginning to plan your wedding, it can become an extremely daunting task. Putting together a wedding requires a lot of research, time, and energy that can become very tedious and draining with a full-time job, graduate school, and other priorities. In order to avoid all of the emotional and physical stress that wedding planning can create for a future bride, the best bet is to enlist in a wedding coordinator that understands your desires for creating the perfect wedding. When planning a wedding, there are several issues that arise in terms of decor, budget and the overall wedding and it helps to have an unbiased, neutral party. Best Bride can serve as the coordinator that will help you reach this consensus, solve all the issues that arise, and save you from the stress of wedding planning. Experience & Thoroughness.. Through the many different weddings that we have planned and coordinated, we know the usual & unusual things that get forgotten or left behind. When we step in – then our extensive check-off lists, itineraries, layouts, budgets, contracts and experience take over and tune in on the details to create your perfect day. We like to ensure that we cover all our bases and tend to your every need. We make sure that items and orders are confirmed ahead of time – not on the wedding day. We like to be thorough and confirm all vendor contracts and necessities that contribute to your wedding festivities. Save Money.. Since we have worked with many vendors before, we tend to be able to save you money on packages with them – we pass 100% of the savings on to you. Best Bride makes every vendor’s job easier; this is why they are more likely to pass on some savings to us, which gets passed directly on to you. We guarantee you savings. Our clients end up saving thousands of dollars hiring us to help them book their vendors and negotiate contracts. We can help save the most money when negotiating venue contracts – that’s one reason it helps to hire us early in your planning process. Enjoy Your Wedding! Your wedding is not only about you and your fiancé – it’s about your family as well. To avoid having them run all around to tie up last minute details, hiring a planner can ensure that they can be relaxed and enjoy this special day in their life as well. For the most part, siblings and cousins get tied into planning as well, but as for the day of the event – they should relax and enjoy this great occasion that we are striving to make yours. We make this union of two families enjoyable and memorable for everyone! It all depends on what stage you are in the planning process. 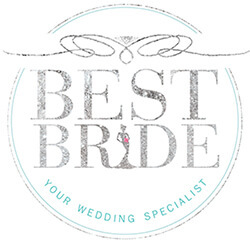 Feel free to give us a call, fill out a form on our Contact page, or email us directly hello@bestbride.la to schedule your complimentary consultation where we will discuss all the aspects of wedding planning with you and choose a package that best suits your needs or even create a customized package for you. what additional types of events do you plan, coordinate or manage?